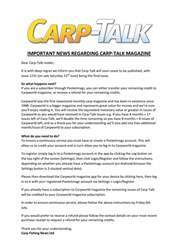 This week’s issue of Carp-Talk (issue 1028) is available to download now. 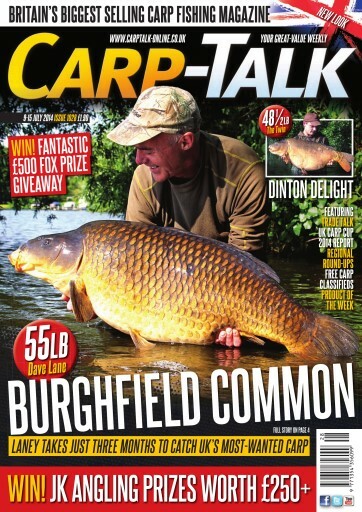 We look forward to the second semi-final of the British Carp Angling Championships at Barston, Mick Henderson recalls a memorable session on the Church Lake in Essex, and Scott Lloyd describes ‘A Rig to Rely On’. 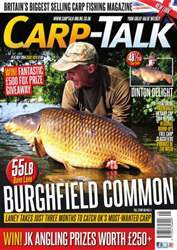 Alain Servaes explains how a last-minute change of plans turned a potential disaster into a session he’ll never forget, and Stewart Roper gives us the exclusive story behind one of the largest fish caught by a UK carp angler from the lake that holds the current world record, Euro Aqua. 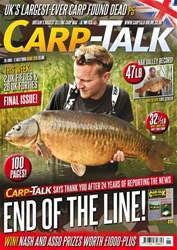 Products from Specialized Hookbaits, Avid Carp and Cygnet Tackle go under the spotlight in ‘Trade Talk’, and we have got £250 worth of JK Angling and £500 worth of Fox surface gear up for grabs. 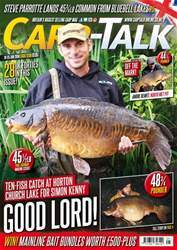 The Fox-Mainline Carp Angler of the Year competition continues and the Richworth and CC Moore monthly winners are announced.